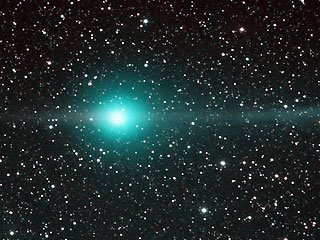 How many of you have ever heard of Comet Lulin. 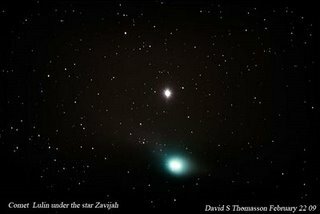 Apparently it was discovered by Chinese and Taiwanese astronomers in 2007 and today is at it’s closest approach to Earth. It got me wondering whether we could see it in Australia and I found this photo on Saint Peter’s Gate Observatory by David S Thomasson. Then there is this one from a Telescope in New Mexico from the Fox News Story. 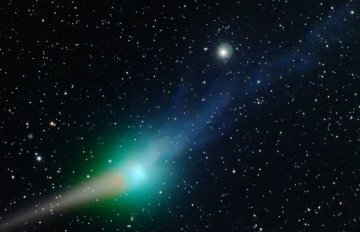 According to a story posted on Yahoo the comet will be visible to the naked eye as a green haze and best seen near midnight when it will be highest in the sky. I’m not sure if those viewing conditions relate to Australia or not. We’re certainly not likely to see it in Melbourne with all of the smoke around, but given it has been photographed from Tasmania and is visible in the norhtern hemisphere it should be visible across the rest of the continent.